Kitchen "Milena" from the factory "Mizan". 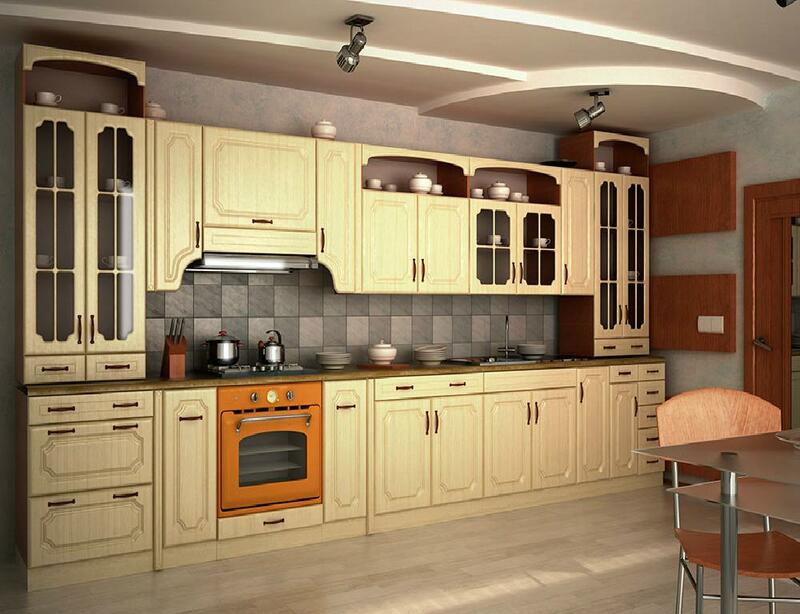 The body of the kitchen is made of high quality chipboard 16 mm. The facades are made of MDF. Always available in various colors. Furniture is sold section by section, which allows you to equip the kitchen of any size, make a straight, corner. Kitchen furniture hinged modules are equipped with a hinge and built-in drying. The cabinets are equipped with adjustable supports that allow to level the working surface in any conditions. Color of the case: white, Sonoma oak light, Sonoma oak truffle, milk oak, dark wenge, alder, walnut, apple tree.